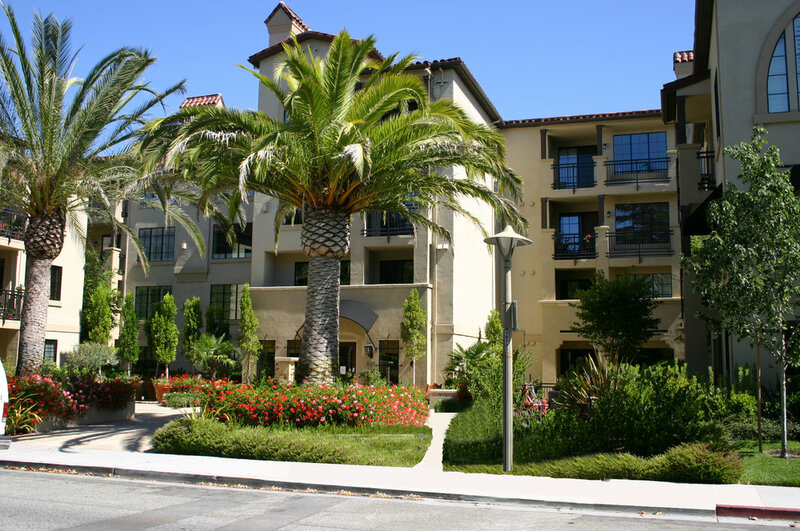 Pacific Hacienda is a mixed-use residential condominium and office project comprised of four apartment buildings historically renovated for office space, a four-story wood frame condo complex on a post tension, two-level underground parking structure, and a four-story wood frame mixed-use residential and office building over a one-level underground parking structure. The site covers approximately one-half of a city block, with frontages on three streets. The project site was a merger of two lots. One of the lots was the site of the Hacienda Garden Apartments, built in the 1920s and slated for demolition. In response to the local historical society and the local community, four of the original six apartment buildings were preserved and renovated into offices. In exchange for this preservation, density bonuses were granted to allow for 73 new residential condominiums in a four-story building behind the historic apartments, and 16 new residential condominiums above 10,000 SF of office space in a new mixed-use building. A new courtyard was designed to better relate the buildings as a whole and link to a pedestrian promenade. Historic elements from the two demolished buildings including roof tile, railings, light posts, and the relocated fountain were used in the new project.